That’s not how I see it…. Tonight, please write a response to today’s class period by answering the question below. Please consider all the class discussion and analysis we’ve done regarding the play, the lithograph, and orchestral suite, to help you in your response. As always, please follow the rules of standard written English and respond to at least one other comment in this thread. In Shakespeare’s play, Prokofiev’s Romeo and Juliet Suite, and Chagall’s painting of Romeo and Juliet, the author, the composer and the artist structure their work with intention. What aspects of Romeo and Juliet do Shakespeare, Prokofiev, and Chagall choose to emphasize and to leave absent? What effect do these choices create when you consider them in context of the events of the play? O my love, my wife! Tonight you must finish reading the play and notice all the differences between the film and the the text. Then, paraphrase and analyze Romeo’s soliloquy, Act V, scene iii. What metaphors, references, and comparisons does he use? How does this help the reader or audience member understand his anguish? What insight about life and death is Shakespeare conveying to his audience? O my love! my wife! And death’s pale flag is not advanced there. Tybalt, liest thou there in thy bloody sheet? To sunder his that was thine enemy? Thee here in dark to be his paramour? From this world-wearied flesh. Eyes, look your last! A dateless bargain to engrossing death! Here’s to my love! [Drinks.] O true apothecary! Tonight, you have been assigned to read Act V, scene i. Before you do that, though, please re-read Act IV, scene v, and then paraphrase and analyze the reactions of Lady Capulet, Nurse, Paris and Capulet to finding Juliet dead, Act IV, scene v, lines 49-70. How are these reactions appropriate to their characterizations and their individual relationships to Juliet? Accursed, unhappy, wretched, hateful day! In lasting labour of his pilgrimage! And cruel death hath catch’d it from my sight! O woe! O woeful, woeful, woeful day! That ever, ever, I did yet behold! O day! O day! O day! O hateful day! O woeful day, O woeful day! Beguiled, divorced, wronged, spited, slain! By cruel cruel thee quite overthrown! O love! O life! not life, but love in death! Despised, distressed, hated, martyr’d, kill’d! To murder, murder our solemnity? O child! O child! my soul, and not my child! And with my child my joys are buried. Tonight, please read Act II, scenes i, ii, AND iii . Then, please paraphrase and analyze the “Come, Vial” speech. 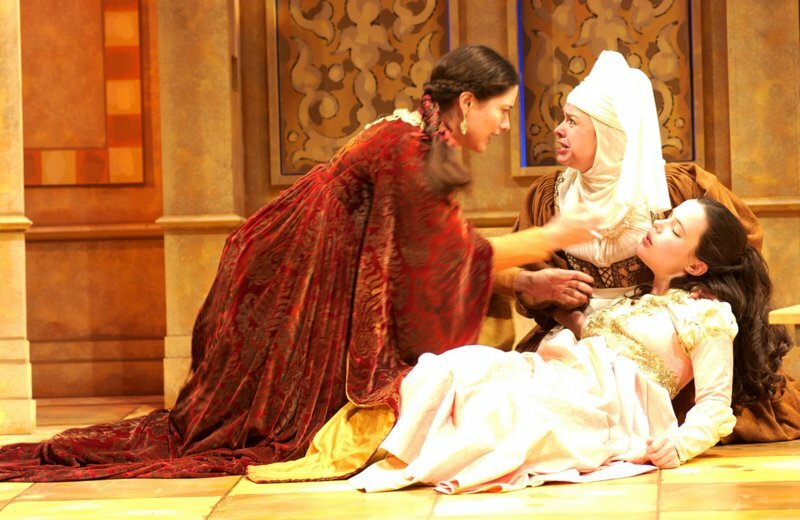 After your paraphase, analyze how Juliet has changed over the course of the play so far. What if this mixture do not work at all? Shall I be married then to-morrow morning? No, no: this shall forbid it: lie thou there. Come to redeem me? there’s a fearful point! Environed with all these hideous fears? And madly play with my forefather’s joints? Upon a rapier’s point: stay, Tybalt, stay! Romeo, I come! this do I drink to thee. This weekend, please read Act III, scene ii, and then analyze Juliet’s transformation in the section of the text I have copied below. Explain how Juliet changes over the course of this section of the text, provide specific textual evidence of that transformation, and — here’s the tricky part!– make sure you show how that text really demonstrates the change. As always, please follow the rules of standard written English and respond to at least one other comment in this thread. Did ever dragon keep so fair a cave? Despised substance of divinest show! A damned saint, an honourable villain! In moral paradise of such sweet flesh? In such a gorgeous palace! All forsworn, all naught, all dissemblers. These griefs, these woes, these sorrows make me old. Sole monarch of the universal earth. O, what a beast was I to chide at him! Will you speak well of him that kill’d your cousin? When I, thy three-hours wife, have mangled it? But, wherefore, villain, didst thou kill my cousin? Which you, mistaking, offer up to joy. All this is comfort; wherefore weep I then? Which modern lamentations might have moved? In that word’s death; no words can that woe sound. O, I am fortune’s fool! Tonight, after you finish reading Act III, scene i, of Romeo and Juliet please write your response here. You have free choice of response, but please keep your comments grounded in the text and, unless you are the very first student to comment, respond to previous comments as a part of your comment. In other words, let’s try to have an online conversation and see where it leads us! As always, please check your writing for spelling, punctuation, and grammar. It is enough I may but call her mine. This evening, please paraphrase and then analyze Romeo’s speech below. Next, you must then compare it to the Friar’s speech beneath it. What perpetual truth does each speaker express in his lines? What possible outcome does the imagery foreshadow in each quotation? Don’t forget: you must analyze both speeches and comment on the analysis of your classmates as well. That one short minute gives me in her sight. Which as they kiss, consume. Too swift arrives as tardy as too slow. Tonight, please paraphrase and then analyze the speech below. For your analysis, be sure to tell who said the quotation, to whom, and under what circumstances. Be sure to focus on characterization, plot development, and theme. As always, be sure to follow the rules of standard written English and don’t forget to respond to the analysis of your classmates as well. Holy Saint Francis, what a change is here! Not truly in their hearts, but in their eyes. Hath wash’d thy sallow cheeks for Rosaline! To season love, that of it doth not taste! Women may fall, when there’s no strength in men. What man art thou that, thus bescreened in night, / So stumblest on my counsel? What can you infer about Romeo and Juliet by comparing their use of language in Act II, scene ii, lines 52-111? Consider their main concerns in this excerpt. Be sure to use specific textual evidence to support your claim, and further, be sure to make clear how that evidence actually supports that claim. As always, please be sure to follow the rules of standard in your writing and respond to at least one other comment in this thread. It is arguable that in Juliet, Shakespeare created a new model for the romantic heroine, courageous and resourceful, someone whose personality would be at home in the 21st century. What can you learn about Romeo and Juliet from what they say and do and the way that they react and respond to each other. 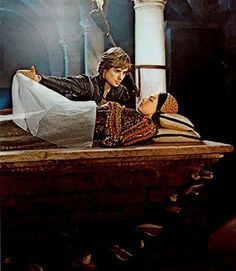 What does this repartee between Romeo and Juliet demonstrate about each of their characters and about their future relationship? Remember to use evidence from the text to support your answer. 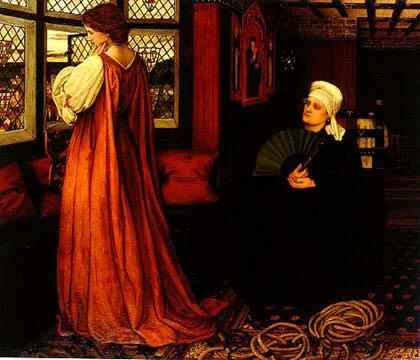 This is a deceptively complicated question, so take time to consider the question, the sonnet, and the article “Juliet Trumps Laura” carefully.